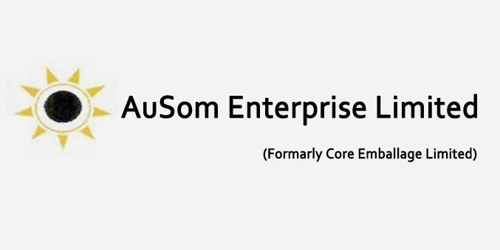 It is a broadly described annual report of AuSom Enterprise Limited in the year of 2014-15. During the financial year, Total assets of the Company stood at Rs. 93,05,03,641 Crore. The share capital of the Company stood at Rs. 33,62,46,270 Crore. The Company has achieved a turnover of Rs. 1101.15 Crore as against Rs. 417.68 Crore for the previous year. Total expenses of the Company for the year Rs. 10,76,12,24,884 Crore. The Company’s Profit before Depreciation for the year was Rs. 25,03,45,961 Crore. Net Profit after Tax Rs. 20,78,90,819 Crore for the year ended 31st March 2015. As a result as on 31st March 2015 the total reserve and surplus is amounting to Rs. 26.92. Crore. Earnings per Share (EPS) of the Company is Rs. 15.26.